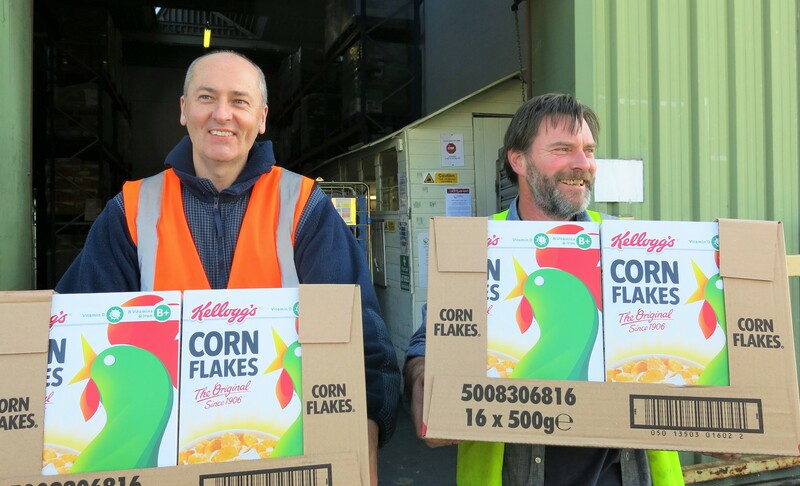 Kellogg’s has been providing their surplus cereals and snacks to FareShare Greater Manchester since 2010, and on a national scale from 2012, to support charities and community organisations across the UK. Prior to working with FareShare, Kellogg’s sold 100% of their surplus food for animal feed, but made the bold decision to change its internal practices and procedures to ensure that it maximised food donations and redirected surplus to help feed people in need. Although the process has been challenging, requiring the buy-in and support of many internal departments, such as Supply Chain, Quality Assurance and Distribution, as well as the incurred costs of transport and loss of revenue from selling surplus as animal feed, Kellogg’s firmly believe that edible food should be consumed by people wherever possible. The initiative to redistribute its short-dated surplus stock is also naturally aligned with Kellogg’s global signature cause, Breakfasts for Better Days, which focuses on helping to tackle hunger relief and food insecurity. FareShare has helped Kellogg’s fulfil its commitment to feed people in need and manage food surplus in line with the Food Waste Hierarchy Model, so that good food goes to people first rather than being wasted. As a result of implementing this redistribution channel, Kellogg’s has increased food donations for human consumption by 38% in the past two years. Since our partnership began (2010 – 2016) Kellogg’s have provided over 1,300 tonnes of food to FareShare, equating to over 3 million meals. This food has been used to support over 2,700 organisations across the UK, including 312 breakfast clubs and 153 after school clubs.